You can use the BUPA Int website to search for participating hospitals or clinics anywhere in the world. If you use one of the participating hospitals or clinics, you may ask for your claim to be settled directly with BUPA Int on production of your BUPA Int membership card. Please contact BUPA Int or your broker before you start your course of treatment, giving details of your condition and the hospital or clinic you wish to use. This provides you with the assurance that your treatment is eligible within the terms of your scheme. To help prompt settlement of your bills, please ensure that your claim form is fully completed and given to the hospital or clinic so that they can return it to us with all the bills and receipts. You are not restricted to the use of the hospitals or clinics in the BUPA Int network. You may use any recognised hospital or clinic (as defined in the rules) but these medical facilities have agreements established with BUPA Int that apply only to the direct settlement of claims relating to eligible in-patient treatment - the hospitals/clinics may require settlement of out-patient claims up front. 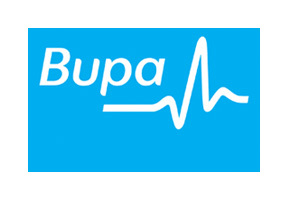 Contact us for further information on the BUPA Int medical plans we can advise on. One of our consultants will be happy to give you a quote or advice.